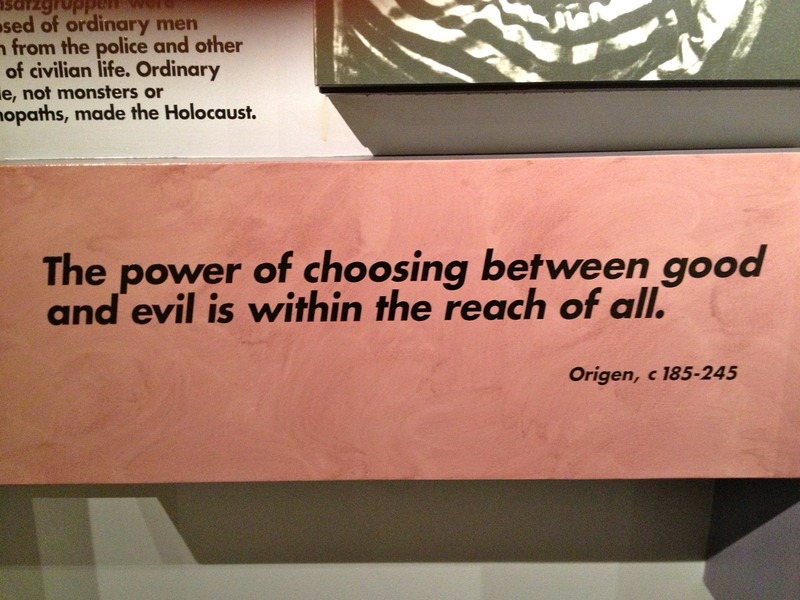 Sydney Jewish Museum | Dream! Go! Live! A few weeks ago while I was having lunch at FourAteFive in Surry Hills I came across an ad in Time Out Sydney about the Sydney Jewish Museum. I knew that it was pretty close to where I live in Potts Point and it was on my list of places to visit so I made a mental note about it. A quick look on their website showed that they offer guided tours and had free admissions on the first Sunday of each month. And as luck would have it, last Sunday happened to be the first Sunday of February so the matter was settled. 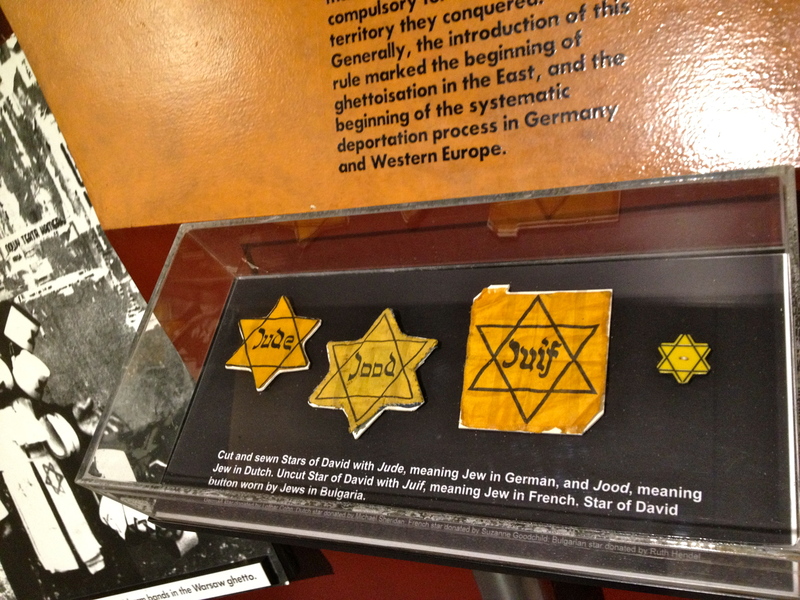 Along with LW and her friend N we went to visit the Sydney Jewish Museum. Our tour began at noon and lasted about 1.5 hours. I thought the tour was going to be about the Jewish population in Australia but instead I received a valuable lesson on the history of the Holocaust. Our volunteer guide was a Polish Jew from the U.S. who married an Australian and she, as a child in Poland, was able to escape with her family thanks to the kindness of her nanny who sheltered and hid them. The first floor of the museum had information about the first Jews in Australia and how the Jewish community has grown over the years, but rest of the museum (I would guess at least 80% of the space) was dedicated to the Holocaust. To commemorate the lives of the six million Jews murdered by the Nazis and their collaborators, honour the Survivors and pay tribute to the Righteous Among the Nations. 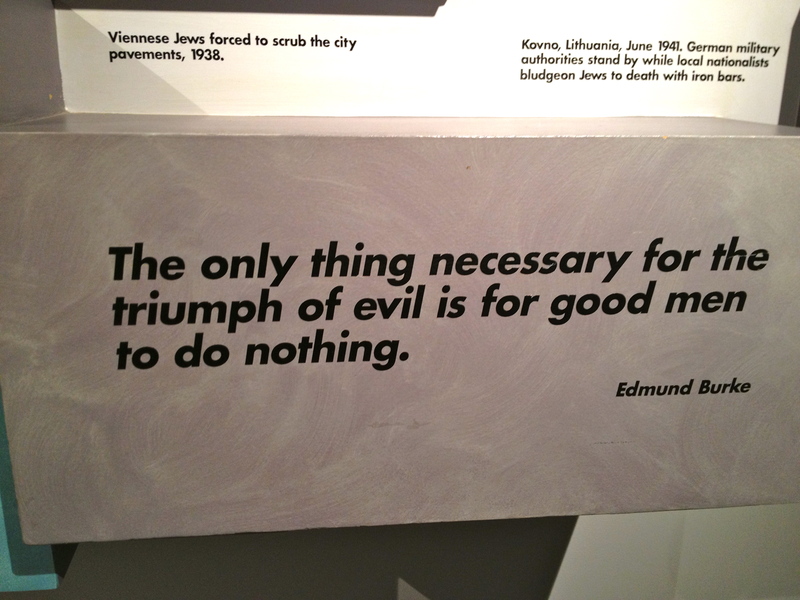 Ensure through education, academic research and the display of artefacts and memorabilia, that the Holocaust and its uniqueness in history is never forgotten and that it is recognised as a crime against humanity with contemporary and universal significance. Explore and illustrate the depth of the Jewish religion, tradition and culture, Australian Jewish history and the contribution of Jews to Australian society. She explained to us that the museum is actually designed like the Star of David. I have to confess that while I knew about the Nazis using this symbol as an identifying mark and made the Jews wear it like a badge, I didn’t know about Jews having to do the same during the middle ages. I also didn’t know the origins of the Star of David. When I got home that evening I looked it up. The Star of David is also known as the Shield of David (Magen David, King David’s shield) and this hexagram (two intertwined triangles)’s usage is relatively new in that it didn’t come to be “the Jewish symbol” until the 17th Century. Before then the menorah or another symbol with six points that looked like an asterisk also signified a place or a person as being Jewish, as well as the Star of David. The Israeli flag with its white background and blue Star of David between two horizontal blue lines was adopted in October of 1948. I learned a lot about the Holocaust at the museum but I was also fascinated to find out about the first Jews in Australia. There was a wall with a list called “Villains, Successes, and Failures- Jewish Convicts in Australia.” Under it there were names of Jewish convicts that were sent over to Australia, with their occupations, crimes, and sentences. There was a man who stole a cheese and had to serve 7 years as punishment, AND he was sent to Australia for it. The journey took 9 months! 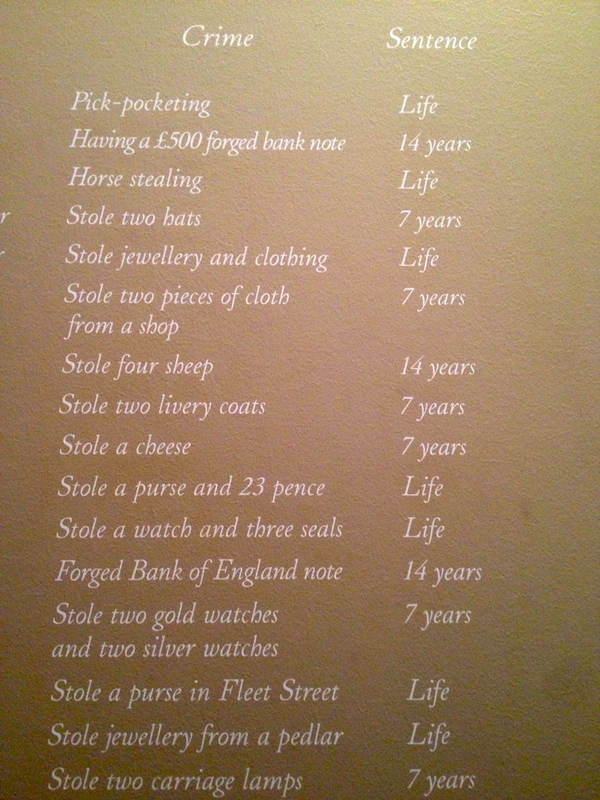 How about getting a life sentence for stealing a horse!? The first Jews in Australia were convicts (not all men either, by the way). But the real wave of Jewish immigration was after World War II. In the beginning Australia’s White Australia Policy prevented any “serious influx” of “undesirable” migrants which included Jews. The government set aside a limit of 0.5% of overall population to be comprised of Jews but by 1954, 17,000 Holocaust survivors were allowed into the country. There were 8,000 Jews that had escaped Nazi Germany before the war and with the Holocaust survivors continuing to arrive in Australia in the subsequent years Australia had taken in 35,000 Jewish refugees by 1961. Our guide pointed out that with the exception of Israel, Australia accepted more Holocaust survivors per capita, than any other country in the world. She told us that there were a number of Jews that came to Perth from South Africa during the years of apartheid and now it is estimated that more than 100,000 Jews live in Australia. But I found it interesting that Jews still represent just 0.5% of the overall population of Australia. Before leaving the museum I quickly went through the temporary exhibition entitled “Dressing Sydney: The Jewish Fashion History,” a look at how Jewish designers and clothing manufacturers changed the landscape of Australian fashion and garment industry. It lifted our moods a bit as we walked out to the rain soaked streets, but our history lesson lingered and stayed with us. This entry was posted in 2013, Australia, Travel and tagged Darlinghurst, Free Things to Do in Sydney, Jewish Community, Jewish Immigration, Jewish Population in Australia, Sydney, Sydney Jewish Museum, Things to Do in Sydney. Bookmark the permalink.